A Chapman man has been arrested in association with a chain of robberies in Salina and Abilene. 23-year-old Travis Ryan Moreland was arrested Sunday by the Dickinson County Sheriff’s Office. The report of a stolen vehicle led them to the arrest, and upon further investigation, led to the charges in Salina. The incidents in question are an aggravated robbery at Howard Johnson that happened on December 5 where an employee was beaten, a robbery at the Day’s Inn on December 12, a burglary at Howard Johnson on December 16, and a robbery at the Horseman’s Headquarters on December 21 where he allegedly showed a firearm to a store employee. 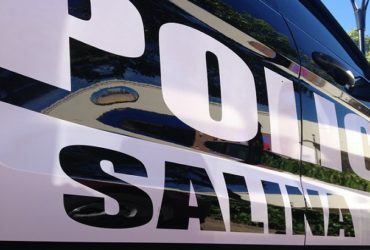 In Salina, Moreland faces charges of three counts of aggravated robbery, one count of aggravated burglary, one count of criminal possession of a firearm and assault, and faces a list of charges in Dickinson County.